Samsung Galaxy S9 and Galaxy S9+ are the talk of the town with an impending launch next month. While there are still a few weeks before we witness their official unveiling, the Galaxy S9 duo's design, specifications, and features have been outed multiple times through different sources. The latest report comes from Chinese certification website 3C where both the variants have been spotted. 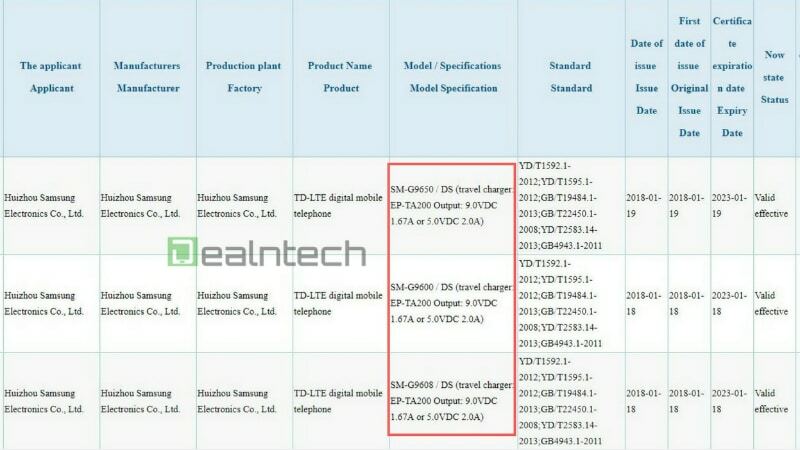 According to the listing, the upcoming phones are expected to retain fast charging capabilities from last year. Apart from that, the listing also shows that all three models have the DS labelling which refers to "dual-SIM". An interesting thing to note is that the standard of fast charging remains unchanged since the Galaxy S6, which was launched with the 15W output.